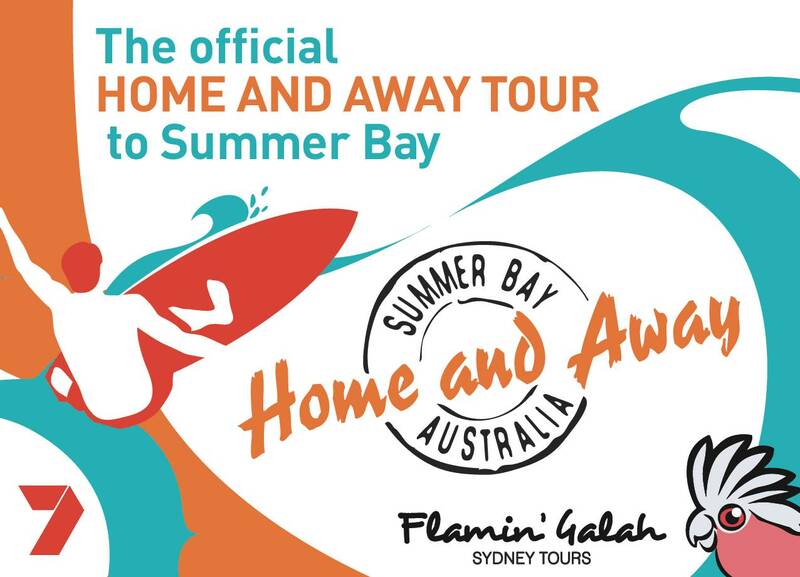 Flamin' Galah Sydney Tours is proud to be working with Channel Seven to provide the Official "Home and Away Tour to Summer Bay." The tour runs every day apart from Thursdays and Sundays. ONLY $105 per person. The tour departs at 1.15pm on weekdays and 10am on Saturdays from outside the entrance to the Museum of Contemporary Art on George Street, The Rocks. Sydney. Please wait on the road side entrance and NOT the waterside entrance of the Museum. https://goo.gl/maps/HQp3G7kBcy12 The drop off point is at Manly Beach approx. 5.30pm on weekdays and 3.30pm on Saturdays. After the tour, you can then get a ferry back to Circular Quay from Manly (at own expense). If you require airport transfers as part of your visit to Sydney, please email michael@gobeyondtours.com.au for an instant quote. This unique tour to Palm Beach visits the stunning location of the hugely popular Home and Away set, offering an insightful and authentic brand experience. The tour allows fans from all over the World to connect with their favourite show and experience the iconic outdoor locations featured in the hit TV program. On board, fans will be able to capture once in a life time photo opportunities, whilst expert guides share their Home and Away knowledge. Guests will be able to re-live some of their favourite scenes from the series, whilst soaking up the Summer Bay lifestyle and enjoying the scenery along the stunning coastal roads of Sydney’s breathtaking Northern Beaches. With so many beautiful areas to enjoy, this tour is also suitable for non-Home and Away fans as well. The tour concludes at the World famous Manly Beach.